The PCMA Global Corporate Summit kicked off yesterday (22 July), with delegates from firms including McDonald's, Microsoft, Nike and Cisco in attendance. The four-day conference is making its debut at venue the Scottish Exhibition and Conference Centre, and will include a keynote from ‘The Medici Effect’ author Frans Johansson. The Professional Convention Management Association (PCMA) expects the event to attract buyers overseeing a collective estimated spend of $1bn (£643m). Presentations will cover topics including the impact of technology and digital on the global meetings market. 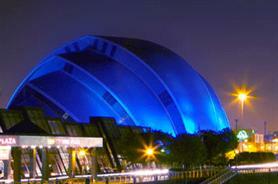 The event, which C&IT reported on back in May, is being run by the PCMA, in partnership with the SECC and Visit Scotland.